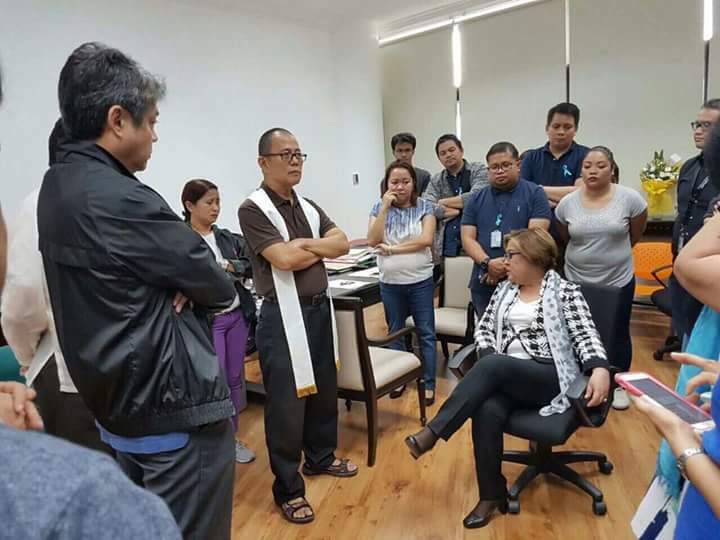 Senator Leila de Lima a staunch critic of President Rodrigo Duterte's war on drugs has been arrested by law enforcement agents after charges were filed in court alleging that she received money from drug dealers inside the Bilibid, the country's largest prisoner’s compound. 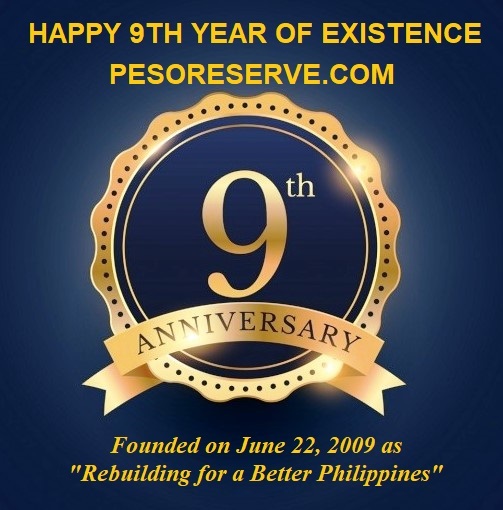 Senator Leila de Lima is accused of orchestrating a drug-trafficking ring when she was justice secretary during the 2010-2015 administration of Benigno Aquino. "The truth will come out and I will achieve justice. I am innocent," she told reporters shortly before law enforcers escorted her away from her office on Friday. 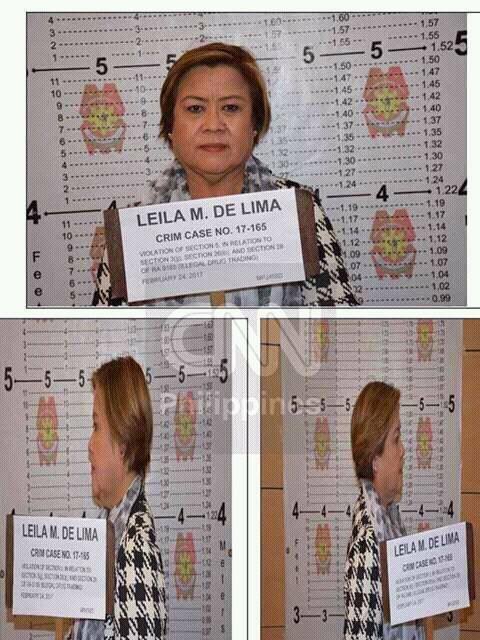 De Lima, her former driver. lover and bodyguard and a former national prison official were ordered to be arrested by a local court on Thursday after a judge found merit in criminal charges filed by the Department of Justice last week. 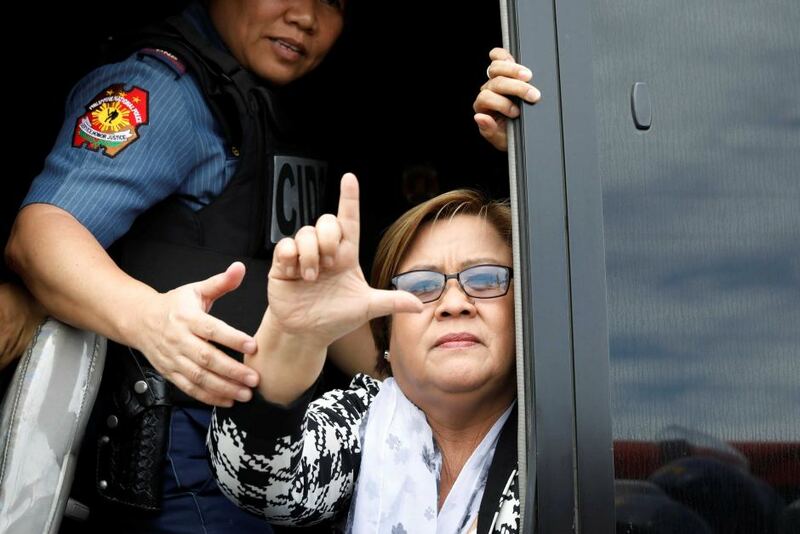 De Lima has denied the charges, calling herself a victim of political persecution and saying that she has long prepared herself to be the first "political prisoner" under the Duterte administration. "While the issuance of the warrant of arrest is questionable, I do not have any plans to evade it," she said, calling the order premature as the court has yet to hear the response from her lawyers. She slept in her Senate office overnight then gave herself up to armed officers in flak jackets who put her in a van and drove into morning rush-hour traffic apparently towards police headquarters. Since his inauguration on June 30, an anti-drug drive has seen more than 7,000 people killed over suspected drug links - with about 60 percent of the deaths carried out by unknown assassins. De Lima has previously called for foreign intervention to put an end to the "state-inspired" extrajudicial murders, which she said have been instigated by Duterte since his election to power. Aries Arugay, associate professor of political science at the University of the Philippines-Diliman, told Al Jazeera that the senator will use her detention to highlight the president's controversial policies. "Senator de Lima has been taunting the Duterte administration to arrest her for months. She boldly says she is its fiercest critic … What is happening right now is she is really using this as her platform for her own politics," Aurgay said. Meanwhile, De Lima's detractors were jubilant over the news of her arrest. Blogger and Movie and Television Review and Classification Board Member Mocha Uson, who is a "diehard" supporter of Duterte, said once the charges are proven, no one will stand with De Lima. Meanwhile, political analyst and fervent Duterte supporter Sass Sasot, criticized De Lima for her rancorous reaction to the arrest warrant. I miss the time when Gloria was arrested. "Naka upo lang si madame, enduring everything, dignity in silence. Itong si Leila kulang na lang bumuga ng apoy." Finally, former Sen. Jinggoy Estrada — who is currently facing plunder charges filed by then-Justice Secretary De Lima in relation to alleged misuse of his "pork barrel" fund — slammed De Lima for not surrendering directly to authorities.